The company was founded in April of 2005 and has since provided information on 145,693 bargain-priced properties containing $16.0 Billion in equity. In addition to property lists, we help investors succeed by providing valuable tools, resources and education. Serviced by the Houston office. Here's a brief bio for those of you who aren't familiar with me or my real estate investing experience. When we were born, our family was lower middle class, but our parents always found ways to make ends meet. The consecutive years of bad crops led us to coin the phrase, "That's just Smith luck" ... which was bad luck of course. But fortunately, as my brother and I entered high school, our family became more middle class because my dad's cotton crops had gradually become more profitable. After high school, I decided it was time to "get off the farm," so I went on to attend and then graduate from Texas Tech University. I was a Business Administration major and a Spanish minor. (That comes in handy in Texas!) After graduation, I moved to Houston, TX to work as a software developer for ExxonMobil. I planned to work my way up the corporate ladder like all good boys and girls are supposed to do. But a few months later, I realized I HATED working there. I felt more like a prisoner than a "career man." 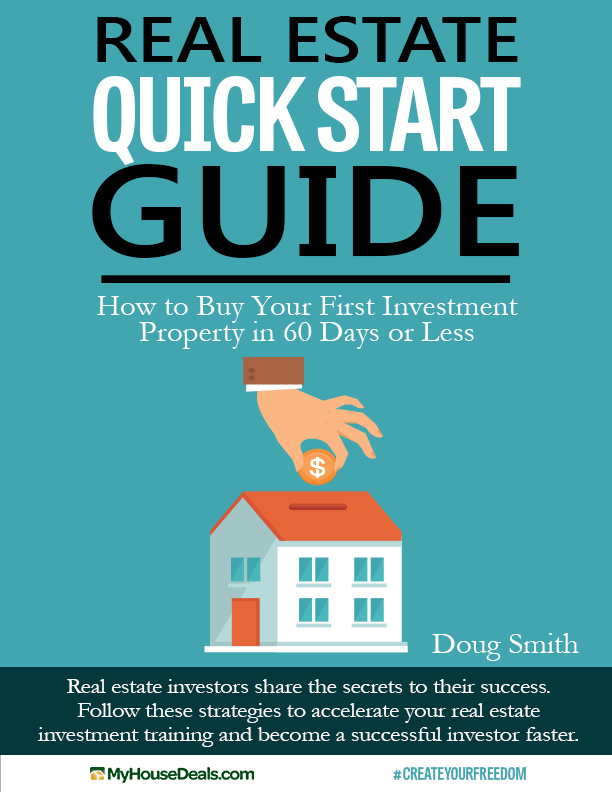 So I looked for other options and read in a few books that most millionaires either made their fortunes in real estate or regularly invest in real estate. So I resigned after one year to buy, fix, and re-sell houses full-time. I said to myself, "no guts, no glory!" But I didn't give up! After becoming more educated about investing and discovering how to buy properties from wholesalers, how to get leads from the Internet, and how to do short sales, I FINALLY bought my first property. It's true what they say. The first one really is the toughest! I then went on a "frenzy," buying 41 houses over the next five years. I was able to do this with no prior experience and using almost every creative purchasing method out there. I bought most with no money down and no credit check. Looking back, I'm thankful that I didn't give up on myself. My success in the field of residential real estate investing has allowed me to become "financially retired." In other words, I don't have to work anymore, but I do because I enjoy it. In addition, I've been able to give back by sharing my investing knowledge to aspiring investors. To date, my investing tips and articles have been read by over 200,000 investors, and I've conducted over 25 seminars to investors throughout the nation, speaking to audiences as large as 800 people. My profits from real estate investing also gave me the capital to start MyHouseDeals.com. But I'm most proud that I've been able to transform people's lives by giving them life-changing advice and access to highly profitable investment opportunities. And that this information has empowered them to make hundreds of thousands of dollars, quit their jobs, and most importantly, enjoy their lives with their friends and family. When I'm not investing in real estate or overseeing MyHouseDeals.com, I enjoy traveling. I currently take about 12 vacations per year. I also enjoy softball, disc golf, and playing the guitar. Doug speaks at a real estate investing event.